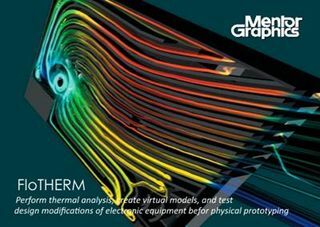 FloTHERM uses advanced CFD techniques to predict airflow, temperature, and heat transfer in components, boards, and complete systems, including racks and data centers. It's also the industry's best solution for integration with MCAD and EDA software. FloTHERM is the undisputed world leader for electronics thermal analysis, with a 98 percent user recommendation rating. It supports more users, application examples, libraries and published technical papers than any competing product.